Come home to The Cliffs at Glassy, The Cliffs original gated golf and wellness community atop Glassy Mountain in Landrum, SC. 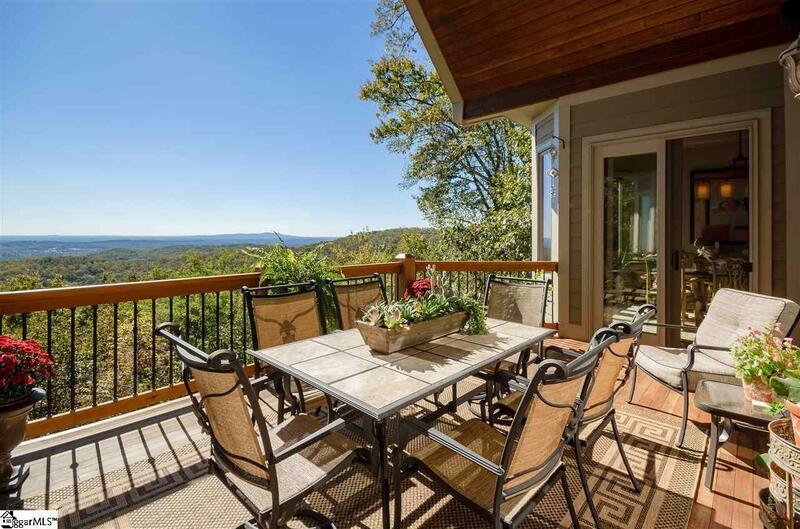 Prepare to be amazed by this meticulously maintained contemporary mountain retreat where no detail was spared. Built on 3.55 acres with a magnificent waterfall across the street, producing a running creek behind the property creating the soothing effect of running water. 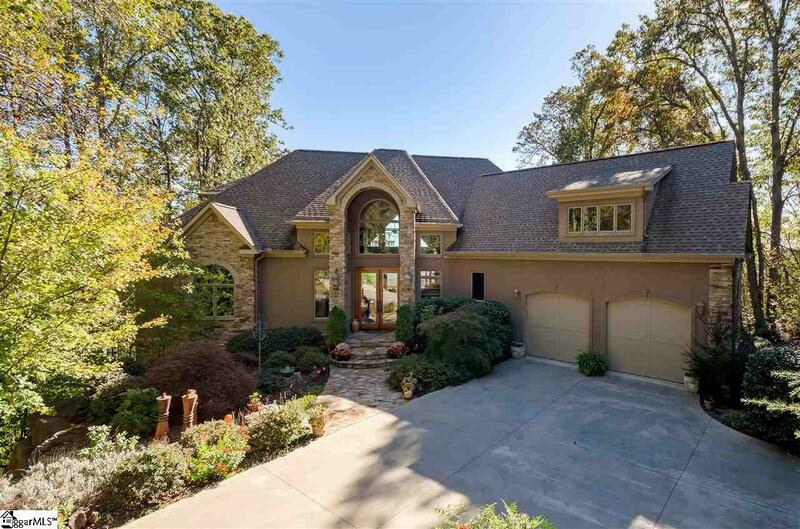 Offering immense privacy, Brazilian cherry wood floors, casement windows, and an open, extremely livable floor plan, 5 bedrooms, 4 full baths, 2 half-baths, a bonus room with 4 built in bunk beds. 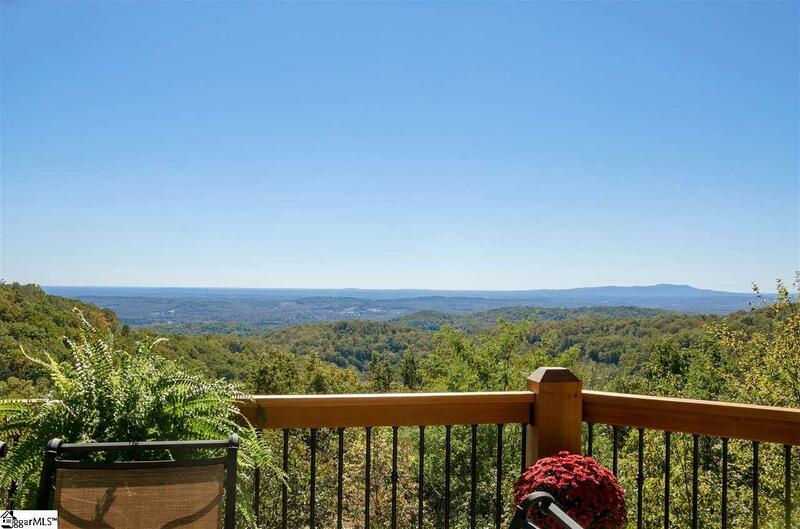 There are 4 fireplaces and panoramic views of mountains, valleys and city lights at night which can be viewed from nearly every room of this 3 story, 5,700+ sq. ft. home. The main level open floor plan provides more than enough space for entertaining friends and family. A great room with fireplace, large kitchen, dining room, breakfast area, and screened in porch with easily adjustable windows to create a year-round room. The screened in porch has a fireplace and an indoor grill, vented out, to be used even in the coldest of weather. The kitchen is custom cabinetry extending to the top of 10-foot ceilings with custom 12 dental moldings. The master bedroom suite, also located on the main level, features a nice size sitting area with a lighted tray ceiling, television built-in closed cabinetry and a fireplace. Access the main level 22 x12 outdoor covered deck from the master suite, or the kitchen/dining area. The upper level has a landing that expands from one side of the house to the other, looking down into the main floor family room with magnificent views of the outdoors. There are 2 bedrooms suites with their own full bathrooms. Every bathroom in the home has custom tile and granite or marble with glass shower doors. In addition, there is a bunk room on the upper level, with 4 built-in bunk beds and a large living area for TV and games. The lower level of the home includes an additional recreation room with fireplace, built-in wet bar and wine. There are 2 additional bedrooms, one full bath, and one bath. The two bedrooms are currently used as an office, and the other is currently a fully equipped gym. Exit the glass doors to a 65 long deck with additional views and plenty of space for entertaining large parties. Off the lower level deck, there is a large storage/potting room. A sink is included for an ideal place to pot plants. 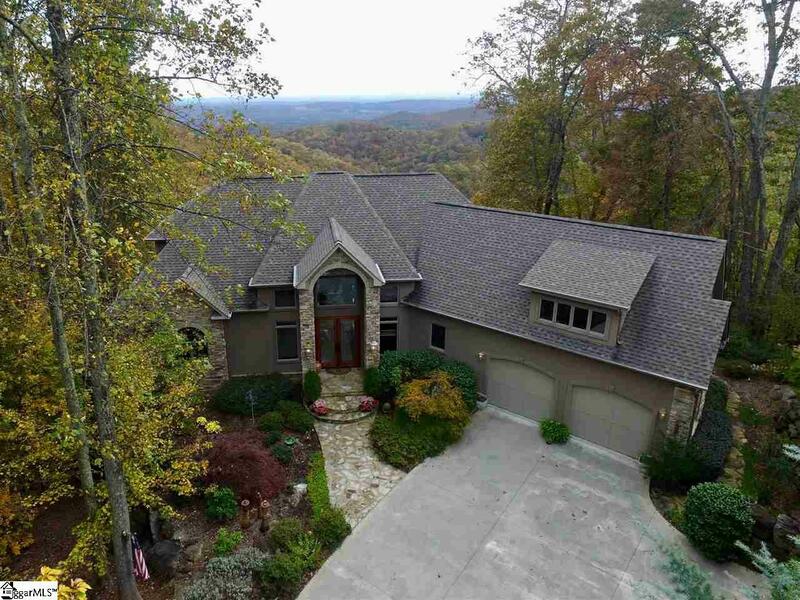 This extraordinary mountain home has had one owner who designed the home with a unique touch to detail in every room. Landscaping is lush, with different plants that bloom year-round. A Cliffs Club membership is available to purchase with the real estate.